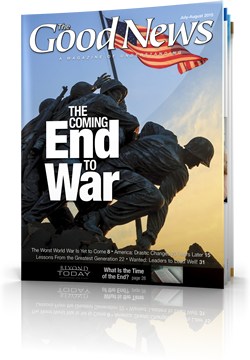 In this issue, we reflect on the conflict of the second World War and realize that even a greater global conflict is coming. We explore the changes that have occured in the United States and other Western nations since World War II. We ask, "What is the time of the end and are we in it?". 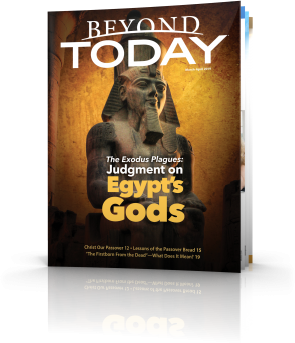 In the "Bible & You" section we look at caring for spiritual injuries and staying connected to the word of God in our busy lives. As the world reflects on the great conflict that was the Second World War, two great questions are inescapable: Could it happen again? And will humanity ever find lasting peace? The cause of war is the ingrained selfish, greedy nature that leads people to covet what others have. As the apostle James put it: “What is the source of wars and fights among you? Don’t they come from the cravings that are at war within you? … You murder and covet and cannot obtain. You fight and war. You do not have because you do not ask. You ask and don’t receive because you ask with wrong motives, so that you may spend it on your evil desires”. Will Humanity Perish in a New Nuclear Age? At this 70th anniversary of the end of World War II, we must realise that an even greater global conflict is coming—with horrors on a scale never before seen. As the world marks the anniversary of the conclusion of World War II, it’s important that we consider the great changes since the Allied victory 70 years ago.